With a library card and a password you can log in to your account online and see what you have checked out, what you have on hold, and whether you have anything overdue. If you don’t have a password for your account, bring your library card to your library and a staff member will help get you one. All items can be renewed twice unless they’re on hold for another patron. Click the Overdues tab to see a list that shows only what items you have which are overdue. Overdue items can be renewed if they aren’t on hold for another patron and if they haven’t been renewed twice already. Click the Holds tab to see a list of what items you have on hold. Items on hold for you which haven’t arrived yet will say “Pending.” If an item has been set aside for you, the listing will indicate where it is on its way to you. For instance: “In transit from Athens to Nelsonville.” Once the item has arrived at the correct branch, it will say “Waiting.” If you wish to cancel a hold, click the “Cancel” button. While you’re logged in you’ll always see these links in the top right corner of the screen. Click your name to return at any time to your account page listing your checkouts and holds. 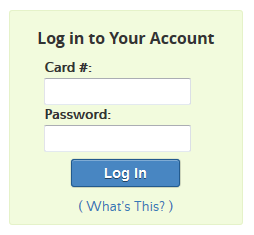 If you’re checking your account from a public computer, be sure to click Log Out so that other users can’t access your account information. When you first log in you’ll be taken to the your summary page. From this page you can review what you have checked out, what is overdue. You can renew your checkouts from this page, and view and delete holds. The your personal details link will give you a listing of the details about your address, phone, and email which the library has on file. From this page you can submit changes if necessary. 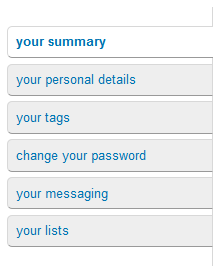 If you have added tags to any records in the catalog you can view and manage them from the your tags tab. You will also see a list of approved tags submitted by all users. 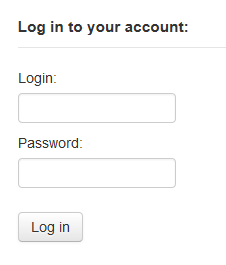 The change your password feature allows you to change the password you use to log in to your account. 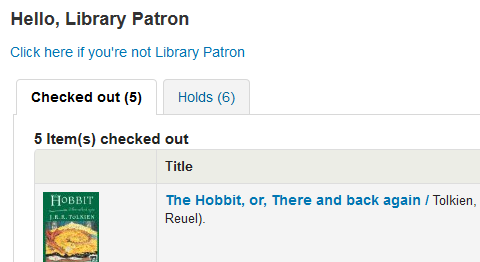 The your messaging link allows you to manage some of the notifications which the library sends regarding checkouts, overdue items, and holds. If you have created any lists you can view and manage them under the your lists tab. You can also view any public lists from here.